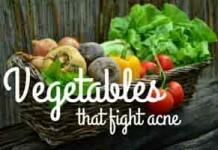 Something all acne sufferers have to deal with is the aftermath of an outbreak. The relief of finally being rid of the pimples and swollen skin tissue is huge, but your treatment shouldn’t stop there. 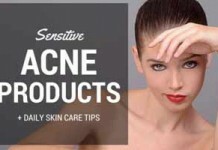 One of the very common leftovers of acne outbreaks is hyperpigmentation. 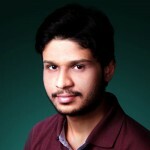 Now, it’s important to note that skin pigmentation is very natural. But it can become unsightly when it’s particularly light or dark. The dark areas that are left after an acne outbreak can last for many months. And in some cases they only become noticeable after the remaining inflammation and scarring has reduced as well. If you suffer from very regular outbreaks then these darkened spots can become increasingly worse and really make it very difficult to deal with. 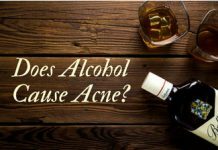 But there are some very simple over the counter solutions that will help you avoid the cost of laser treatment or medicated creams. The most effective solution will be to use products that very gently bleach the dark spots. 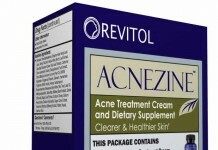 This doesn’t speed up the replacement process but it helps in getting rid of the last unsightly evidence of your acne. Within a few days you’ll see noticeable differences and you’ll be able to get on with your normal life again. If you're in a rush, below are the best products to get rid of Hyperpigmentation , hands down! Hyperpigmentation is simply an over production of melanin – a complex polymer produced by melanocyte cells that determine the color of our skin. But why does that overproduction occur? Read on. According to a research article by National Institutes of Health, there can be 5 core causes behind this overproduction of melanin. These include sun exposure, reaction of medications like minocycline, iron overload in the body, hormonal imbalance, etc. 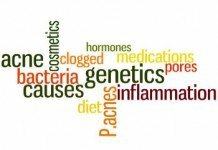 And the core cause behind majority of hyperpigmentation cases is having a history of skin inflammation – such as an injury, or an inflammatory disease like acne. 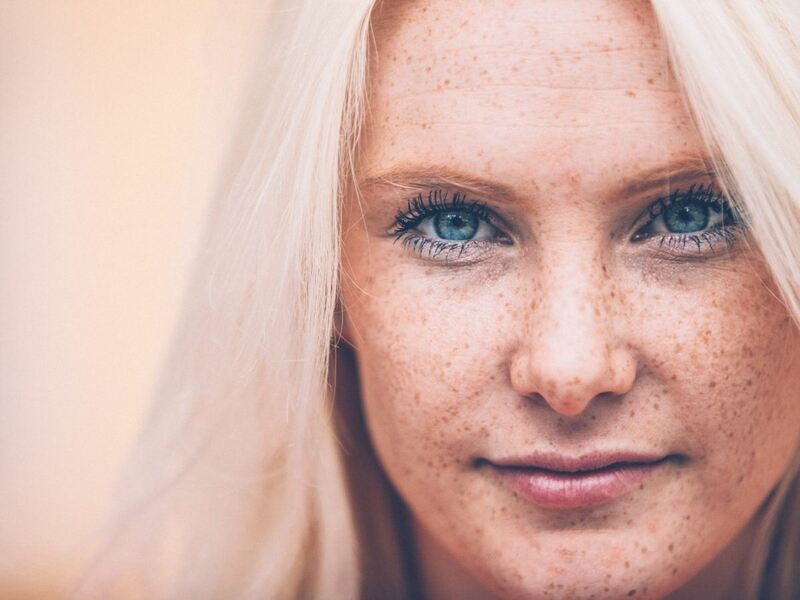 This pigmentation occurs as a part of your skin’s natural healing process. However, if you leave it on its own, it can take months and in rare cases (which happened to me) years to fade. So, that’s where the second and the most important section of this blog post comes in. It’s important to know what ingredients are utilized by the most successful products for hyperpigmentation or dark spots. 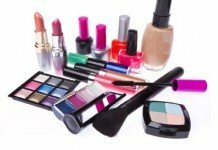 This will enable you to self assess that whether or not a particular product will be effective in fading your dark spots. Hydroquinone based treatments have widely been used as an effective treatment for hyperpigmentation. You might be aware of the dark side of hydroquinone. But the truth is: it’s not always the case. A good approach is to use hydroquinone based products in small concentrations and under expert guidance. Unlike hydroquinone – kojic acid is an all-natural, relatively safe ingredient for treating hyperpigmentation. 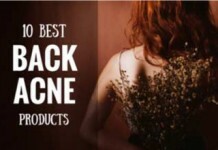 It’s primarily used against age spots, fine lines, and skin brightening. 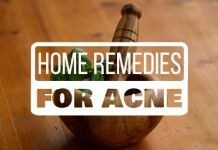 But it’s been proven to be equally effective for fading dark spots left by acne. 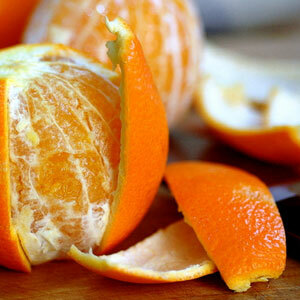 Vitamin C is a natural peeling agent. It helps rapid shedding of dead skin cells, and allows new cells to regenerate on your skin. 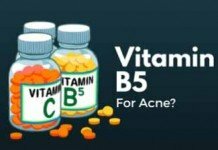 That is why products containing Vitamin C can be very effective for reducing dark spots on your skin. Hyaluronic acid is naturally produced in our body. This essential compound is abundantly found in our eyes and joints. It is widely used in skin care for purposes like healing wounds, ulcers, burns, skin moisturizing, and even anti-ageing. 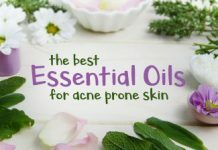 And besides these four major ingredients, Retinol, glycolic acid and many others are also utilized by successful anti-hyperpigmentation products. This product has the best user feedback. If you’re looking for an all natural product without harsh chemicals, BFE Skin Whitening Serum is what you should go for. It makes use of the natural kojic acid to effectively reduce the appearance of hyperpigmentation, age spots, sun spots, freckles, and even acne scars on your skin. Apply evenly on your clean face, avoiding eye area. Allow it to get absorbed into your skin. and preferably, do not use other products when you’ve applied it. It can be used twice a day. Phyto+ Gel makes use of four active ingredients to diminish hyperpigmentation or dark spots left by acne on your skin. It contains the natural Hyaluronic and Kojic acid to help heal, calm, and improve your skin health. Among its other active ingredients is Arbutin, which is a natural alternative to hydroquinone. This is what makes this product highly unlikely to cause irritation. Gently wash your face to remove any dirt. Apply 1-2 drops on your affected areas. Follow up with a good quality sunscreen and moisturizer. A pricier option, but not ineffective. This spot fix treatment from Verso uses a concentrated Retinol 8 complex formula to eradicate unwanted dark spots on your skin. Its regular usage will effectively fade dark spots on your face caused by sun damage, ageing, or your past acne. It can be safely used in daytime. Apply a tiny sized amount directly on your dark, hyperpigmented spots. A hydroquinone free formula geared towards permanent eradication of hyperpigmentation on your skin. Contains Illumiscin and Niacinamide which help reducing hyperpigmentation and age spots. Other ingredients like Lipochroman-6 and Caffeine help preventing future pigmentation and make your skin healthier. Apply it directly on your spots twice a day. Apply a good quality sunscreen afterwards. 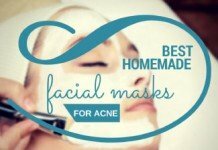 It will help you maintain results and avoid further damage to your skin. Just as the name suggests, this brightening Essence from Fresh contains peony root extract. 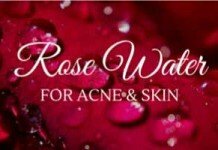 Studies have shown that peony extract contains anti-cancer, as well as anti-oxidant properties. This makes this product very effective against free radicals that adversely affect your skin’s outlook. Besides that, the presence of hyaluronic acid makes your skin smooth, clear, healthy and bright. Gently cleanse your skin. Apply thin veil of Peony Spot Correcting essence on your face. Potatoes contain an enzyme called Catecholase, which is known to help lightening the skin tone. That is why potatoes are believed to work well against skin pigmentation or dark spots left by acne. All you need to do is to cut a potato into slices. Now, rub it onto your affected areas. You need to repeat this remedy regularly to see noticeable results. Raw, organic apple cider vinegar contains excellent astringent and skin lightening properties. This is what makes this ACV spot treatment highly effective for reducing dark spots or hyperpigmentation on your skin. 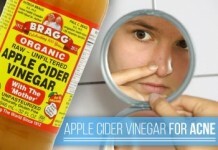 Mix two tablespoons of ACV and water in a cup. Now, use a cotton swab to apply this mixture directly on your affected areas. Wait for 10-15 minutes. Now, rinse your face with lukewarm water. How can you not call aloe vera for help when your skin is in trouble? 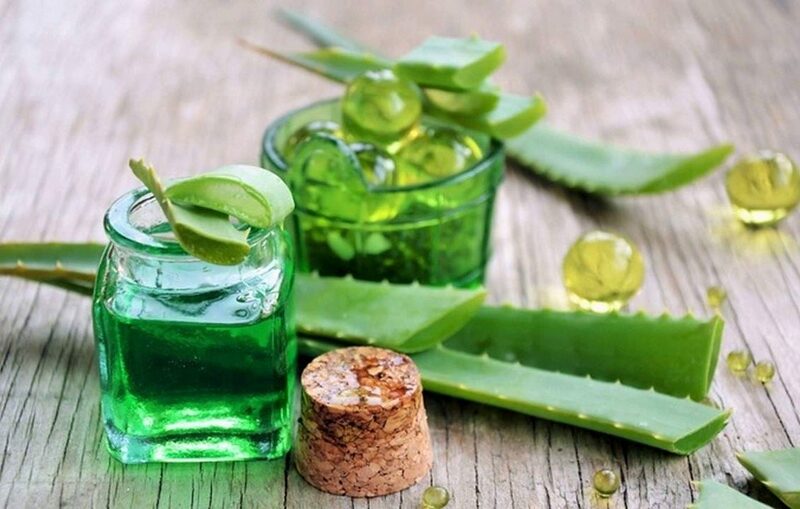 Aloe vera is one of those rare herbs that contain tremendous skin-friendly properties. 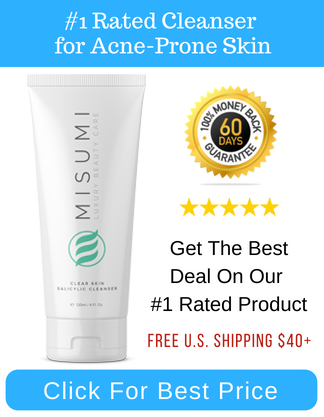 Particularly for post inflammatory hyperpigmentation, mucilaginous polysaccharides present in its gel can help shedding dead skin cells and promote skin rejuvenation. Before going to bed, apply fresh aloe vera gel on your pigmented areas or dark spots and leave overnight. Gently wash it off your face in the morning. A more effective way to use aloe vera against PIH is to combine it with honey. Mix 2 tablespoons of aloe vera gel with ½ tablespoon of honey. Now, apply this mixture on your affected areas. Wait for at least 20 minutes. When it gets dry, rinse off with lukewarm water. Turmeric has made to this list because of its excellent bleaching properties. 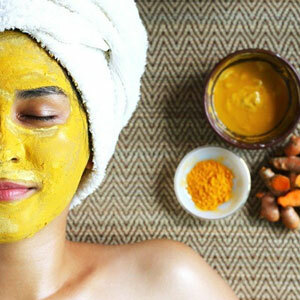 Follow these simple steps to exploit the power of turmeric to reduce hyperpigmentation on your skin. Mix one tablespoon of turmeric powder with diluted lemon juice – enough to make a smooth paste. Apply this paste on your pigmented areas and let it set for at least 20 minutes. Once you’ve done that, rinse this paste off with room temperature water. For those of you having very sensitive skin, replace lemon juice with milk. Add 2 tablespoons of milk for every 1 tablespoon of turmeric powder. Taking a look at its nutritional facts will let you know how healthy and skin-friendly this blessed fruit is. Avocados aren’t only low in Glycemic Load (as foods high in Glycemic load can promote acne), but it also high in vitamin A, C, and vitamin E values. This makes it an excellent choice for reducing hyperpigmentation on your skin. Take one ripe avocado and mash it into a smooth paste. Now, apply this paste evenly on your affected areas and leave it for 20 minutes. Afterwards, wash it off with lukewarm water. Lemon is one of the best natural bleaching agents. It can effectively help lightening your dark spots if utilized regularly and with care. And to take this remedy to the next level, you can utilize the soothing power of cucumber. *Note: If your skin is very sensitive, do a patch test first before applying lemon juice on your face. Even if it’s diluted. Squeeze a half cut fresh lemon into a cup. Use a cotton swab to apply it on your affected areas. If it feels strong, dilute it reasonably with water. Let it dry for 15 minutes. Afterwards, just gently rinse off your face. Now, cut a cucumber into small pieces. If it was in your fridge, let it cool down first. Now blend these pieces to make a smooth (kind of) paste. Apply this paste on your affected areas (or even on your whole face). Leave it for 30 minutes before rinsing off with cold water. The antioxidants present in cocoa butter are what make it very effective for healing and soothing the skin. 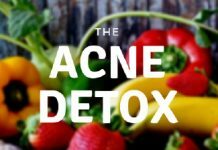 Antioxidants play a vital role in protecting your skin’s outlook from harmful free-radicals in the environment and in your body. Cocoa butter will also help nourishing and moisturizing your skin. This will all result in lightening your dark spots. Just apply cocoa butter on your affected areas and massage gently. Rinse off your face after 15-20 minutes. Massaging will improve blood circulation on your skin which is vital to reduce skin pigmentation. Now, why do you need papaya to do skin exfoliation? Well, this is all because of the enzyme papain present in it. Whenever you’ll apply papaya on your skin, it will help exfoliate your skin, remove the pigmented skin layers, and promote the regeneration of new skin cells. And eventually, you’ll see the reduction in your pigmented marks. Just look for a fresh papaya. Cut a slice out of it (as we don’t want to use it all at once.) Grate it and extract its juice. Once you’ve done that, apply this juice on your affected areas. Leave it for 20 minutes before rinsing off. You’ll need to repeat this remedy for a few weeks till you can see amazing results. This is one of the simplest home remedies for hyperpigmentation. 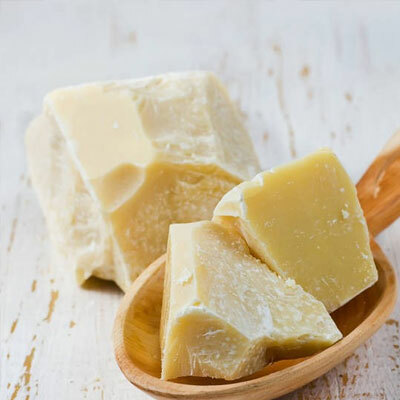 The natural peeling power of lactic acid present in milk, when combined with tremendous anti-bacterial, anti-fungal, and anti-oxidant properties of honey can definitely work wonders. Just mix sufficient amount of milk with honey. You can also use curd instead of milk as it also contains lactic acid. Apply this paste where you see hyperpigmentation on your skin. Rinse off your face after 20 minutes. Doing this regularly will gently peel off your pigmented skin over a period of time, leaving your skin even and beautiful. It’s not just the orange fruit that is healthy, but its rind too is fully loaded with Vitamin A, Vitamin C, fiber, enzymes, and pectin. And we’ll utilize its power in this remedy to cure hyperpigmentation on your skin. Mash the peeled skin of an orange to make a paste. Now, add a few tablespoons of milk in it, and mix well. Apply this paste on your affected areas, and leave for 30 minutes. Now, just gently rinse off your face with warm water. Do not take this section for granted. 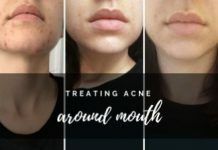 All these tips which I’m going to write below are essential if you’re serious about your skin’s outlook and don’t want to see those ugly pigmented areas and scars on face ever again. Experts say that it’s easier to prevent PIH than to treat it. 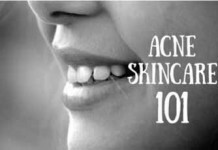 I recommend you to follow these simple skin care tips and you’ll certainly see less hyperpigmentation or dark spots on your face in the future. I know it’s really tempting sometimes, but it never does any good to your skin. 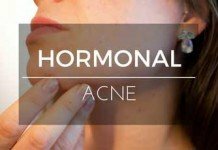 Popping or picking pimples is relatively the biggest culprit behind post-inflammatory hyperpigmentation (PIH). And it often doesn’t just stop there. Picking pimples is also an excellent way to invite acne scars to ruin your face. It may seem intuitive, but scrubbing your dark spots makes them more resistant, and it prolongs their stay on your skin. So, you should better avoid it. I wish I had known this before I made my hyperpigmentation worse in the past. It’s better to avoid sun exposure when you’re having dark spots on your skin. But if it’s impossible, do not forget to apply a good quality sunscreen of at least SPF 15. Make sure that the formula of your cleanser or face wash is non-irritating and moisturizing. The best choice here is to use Cetaphil Gentle Cleanser that can help reducing your skin dryness, inflammation, irritation, and itching – all at the same time. It’s easy to be attracted towards various fade-creams available in the market that ambitiously make huge claims. Oftentimes, they’re imported from countries where the safety standards and production regulations are lax. These illegally imported fade creams may also contain undisclosed, harmful ingredients like mercury or arsenic that can result in kidney toxicity [source]. Therefore, until recommended by your physician, avoid these shady fade-creams.